December is the critical month for retailers: At no other time of the year can companies in this space expect such high volumes of sales. However, the boost in product orders caused by the holidays can stress and overwhelm the retail supply chain. And while the final month of the year always means increased sales numbers, activity in this sector isn't always as great as expected, and when companies plan on revenues that don't materialize, the setback can be considerable. Unfortunately, that may be precisely the situation in which many firms find themselves at the start of the new year. Economic analysis firm BDO recently revealed that retail activity in the U.K. was down by 2.2 percent last month, in comparison with November. 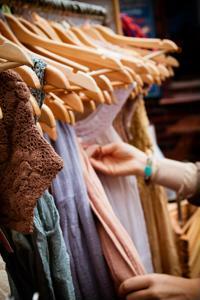 Overall, the fashion sector fared the worst, experiencing a 4.6 percent drop in sales. But with non-fashion up by 2 percent and housewares up by 8.1 percent, the researchers suggested that the phenomenon may reflect the competitiveness of the post-recession marketplace. "Those with a solid product offering and a good in-store experience remained relatively buoyant in December, whilst those who require a little help in driving footfall struggled," BDO stated. Some of these trends may be due to sluggish brick-and-mortar store traffic. The week ending Dec. 22 saw 21.2 fewer in-store visits to retail outlets in the United States than the same period in 2012, ShopperTrak reported. But at the same time, BDO found that e-commerce sales were up by 31.1 percent in comparison with last year. This phenomenon may be particularly detrimental for retail segments such as fashion, which has a customer experience model dependent on prolonged in-store shopping. The e-commerce boom has been so considerable, in fact, that shipments of holiday orders were problematic this year. According to CNN, UPS reeled from an overabundance of packages in the days preceding Dec. 25. "The volume of air packages in our system exceeded the capacity of our network immediately preceding Christmas so some shipments were delayed," UPS said in a statement, according to the news source. Unfortunately, this oversight resulted in disappointed and upset consumers, and some of the fallout reached online retailers such as Amazon. These holiday retail trends showcase how vital it is for companies to achieve the highest possible levels of operational excellence. As consumers carry out an increasingly large percentage of their shopping on digital channels, companies in this sector will have to maintain enterprise agility in order to reduce shipping costs, avoid mishaps and retain customers.